« Magento – Where are we now? Ecommerce is a fast-moving world and services which were major differentiators just a few years ago are customer expectations today. A great example is modern Same Day Shipping. Balancing cost and speed for Same Day Shipping can be daunting, but new services are poised to reduce headaches. 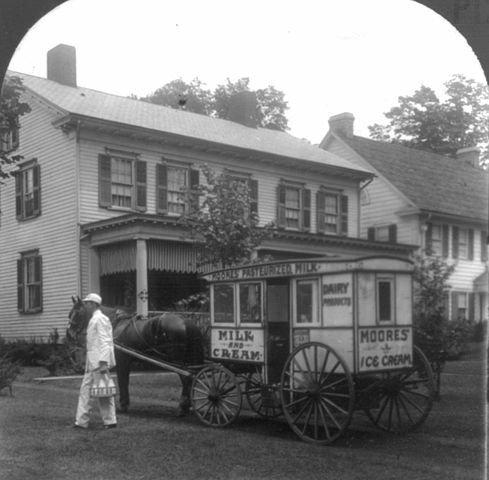 About a century ago, Same Day delivery by the milkman or bakery was the norm. Modern Same Day couriers are the spiritual descendants of early local delivery companies. 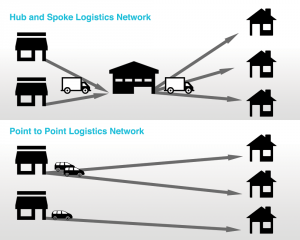 However, in the mid 1900’s mail order boom, speed took a back seat to logistics network efficiency and national delivery services. Customers expected access to a wide variety of products delivered in a few weeks nationwide. Grocery delivery services like, now defunct services, Webvan and HomeGrocer.com and current options like AmazonFresh pick up where the milkman and bakery truck left off and give us useful examples of what to do and not do in modern Same Day delivery. Couriers like Google Express (launched in 2013), Deliv (founded in 2012), or UberRUSH (announced in 2014) show signs of making inroads for non-grocery merchants where others have failed . The key difference between these services and small-package carriers (e.g. UPS or FedEx) is the approach to pickup and delivery logistics. Standard carriers use a hub and spoke logistics approach where all packages are shipped into massive hubs, sorted, and shipped out. While this is a cost-effective approach (fewer vehicles, less empty driving), it adds about a day to any delivery since the package makes a stop at the hub before delivery. Same Day couriers use a fleet of smaller vehicles which are dispatched to merchant locations when a package is ready for pickup, then drive straight to the customer’s location. 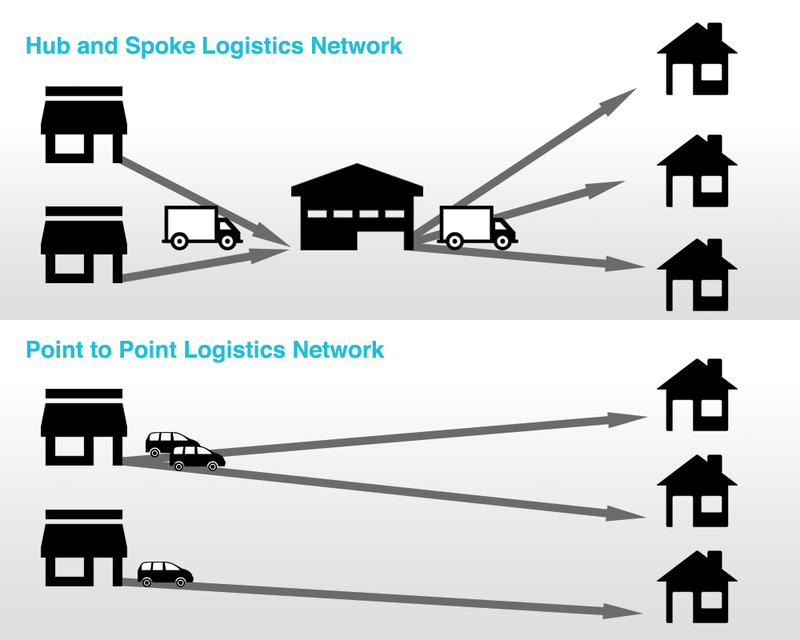 Since this is a point to point system, it’s inherently more local (service area is determined by distance from the merchant) but slightly less cost-efficient as a delivery vehicle may be making certain parts of its trip with few or no packages on board. This introduces challenges, but modern technology has been quickly mitigating these potential pitfalls. With more fuel-efficient vehicles (electric vehicles, hybrids, even bikes or mopeds), and powered by mobile technology allowing for instantaneous delivery scheduling, Same Day Shipping has taken strides in the past year to become more broadly available to customers and cost-effective for merchants. Because the service is local, rollouts of these services rarely happen nation-wide. Large or tech-heavy cities like San Francisco, San Jose, New York, Los Angeles, Chicago, etc. have a number of services to choose from, but the service areas are growing quickly as couriers, like the ones mentioned above, start operations outside these primary markets. While not widespread yet, expect to see more large retailers offer Same Day Delivery as they leverage their stores as fulfillment locations. Small or medium-sized multi-channel merchants and online pure-play merchants with fulfillment centers in urban areas should be looking at same-day delivery as a way to compete with large merchants and stay a step ahead of the competition. This entry was posted on Wednesday, October 29th, 2014 at 7:44 pm	and is filed under Shipping News. You can follow any responses to this entry through the RSS 2.0 feed. You can skip to the end and leave a response. Pinging is currently not allowed.